Link building is the million dollars value practice in search engine optimization to outperform your competitors therefore we are sharing off page seo activities list with you so can learn many different methods of creating quality back links for improving your ranking in search engine and over all website performance also for getting huge instant traffic. If you observe seo tips and tricks of top internet marketers who are getting thousands on unique visitors on their blogs then you will find they have given priority for getting inbound links from authority websites by applying different techniques by following which you can enjoy the viral traffic also. So let’s read these really must apply methods from off page seo activities list here. Submission of the info graphs is advanced method of content marketing and off page by following which you can make your content more viral and readable by many and many peoples. You just need to arrange informative data on any useful topic about which thousands of people are searching information and create descriptive info graphs using vectors + images + text also. Give the people facility to use it by using embed code which has link back to your website also. In this way not only you will get quality back links for seo but will enjoy viral traffic also. You should use infographic submission sites to submit it in starting so people will know about it. It is the very effectively tested and trusted method for getting do follow links by giving someone 5 – 10 dollars only who has a high page rank and good traffic donate to us backlink site list which show the website links of donation makers also. If you have really valuable content which worth liking, sharing and downloading also activities also then converting it into PDF files and submit it on to top document sharing websites is going to give all these 3 mentioned activities for generating back links and creating popularity also. I know after reading word search engine submission you will understand the submission in Google. You are right but with it you should use other famous search engines also and some of them gives you do follow back links also which is really needed by every seo expert. For the faster indexing of your web pages these ping sites plays an important role and these websites let the other search engines aware about your new web pages or blog posts and force them for quick indexing of it also. If you are feeling that after applying all your possible activities your web pages are taking too much time for indexing then you can try for this option which is available in Crawl section of Google webmaster tool. It is the must apply among all activities list for seo off page. There are so many popular micro blogging websites which allow to share your URL with 140 – 160 characters and your followers can instantly know about new posts on your blog so if you want instant traffic on your website then you can try this activity but there should be decent number of followers in your account. Twitter, Plurk, Pinterest Instagram are some of the popular sites you can try. If you are not commenting on niche related blogs then your competitor will not aware from what you have written in your new blog post so i would suggest you to choose top 50 -100 blogs of your niche and start making comments on them for stealing their rank as well as visitors also. Number of followers is not enough for getting viral promotion, you should be active on top social media websites so people will be interested in commenting below your posts and love to re-share your stuff what you have been shared with them. If you are able to create an eye catching image or have team which can do it then you get advantage of viral promotion which is the dream of every blogger. There are so many image submission websites which give you quality back links in return as a link credit when you do submission of images in them. It works like an rocket for your ranking purpose and for this you just find the blogs related to your niche and submit your well written content in them and ask the blogger to give at least two do follow back links for your website URL’s. There is good craze of blog posting in web 2.0 sites. There are so many forums available online with thousands of visitors every day and you can enjoy the traffic from the discussion by other users on your website just by join those forums and submission of the niche related URL in between discussion or you can use signature links pointing to your website URL. There are so many high traffic websites related to question and answer where people ask questions related their issues or other queries also and if your website has any information or solution related to their questions then you can get targeted visitors on your website. Videos are the place where visitors spend maximum time on the internet and you can get advantage of it also by creating videos related to to your service or any other tutorial also and in this way you can get advantage of likes, shared and embed also it is among from the most applying list of off page seo activities for content marketing. There are some more off page seo activities list available which are old but still working very effectively for search optimization. It is the really working method for getting inbound links with long tail anchor text and the good thing which i like in social bookmarking websites is most of them are do follow which pass quality link juice to us. It is the best method for getting one way quality back links from high domain authority websites. This technique is working from last many years and still continues its effect in positive way also but the strategy has changed now and you should submit unique article on each website to get positive output of your work because search engines hate duplicate submissions. There is great requirement of becoming part of news about our products and writing eye catching press release for gaining the visitors attention press release submissions are working like pusher from the back side to our online promotion tasks and there are so many high authority news websites which can make our brand popular and give us instant huge traffic in very less time frame. There are many free press release submission sites list available for distribution. Among all the activities of off page this is the oldest one and playing role in generating inbound links with branded anchor text and there is huge list of quality web directories with high DA and PA also for getting followed links sometimes with no followed also. But the branded anchor text for the domains always necessary part of link building strategy. There are many auto approve web directories list which you can use for quick do follow back links. Our steps for creating profile links is continued and web 2.0 sites and web 3.0 websites are the right place where we can create profile back links also. Most of these kind of websites are with high page rank and strong domain authority with Moz trust and moz rank also. With the different format of URL’s sometimes with slash at the end some times without it we can create different variations of branded anchor terms also. These both techniques are different but sounds like similar efforts also so we post ads regularly about our services to get targeted business clients easily. There is a trend among online marketplaces peoples use these marketplaces websites for finding right information and giving right techniques also. Business listing is the process we register our official business websites once in top business directories of the city or country also and some times it may be the good decision when we choose for the featured listing also for the more chances of higher visibility in search on these market places. The big thing which we like in these both processes many sites or directories ask for URL of official business websites so we can get backlinks from them. All these off page seo activities list is tested and trusted by us and proven really successful for huge success in search engine optimization. can u explain seo tips to high ranking my web site..
May you explain On page SEO tips? I already published a post related to on page seo… you can search on my site. Infographics are highly effective not only for submission but for getting shares. I could say that it would be wise to spend on it for promotion. I believe off page optimisation is very important for SEO. This post was very helpful for me, thanks for sharing. I agree with this blog information but i have question, how can we find out “do-follow” blogs or forum site? I think, its very hard to find out. Can you give me some suggestions about that? I have given these list also on my blog.. please search in my blog search box. Abhishek, IT is working same like another methods.. just remember that use only home page for submission purpose only. I accept off page advancement is essential for SEO. This post was extremely useful for me, a debt of gratitude is in order for sharing. I concur with this online journal data yet i have question, in what capacity would we be able to discover “do-take after” sites or gathering webpage? I think, its elusive out. Can you give me a few recommendations about that? I completely agree with the techniques you have mentioned Avinash. 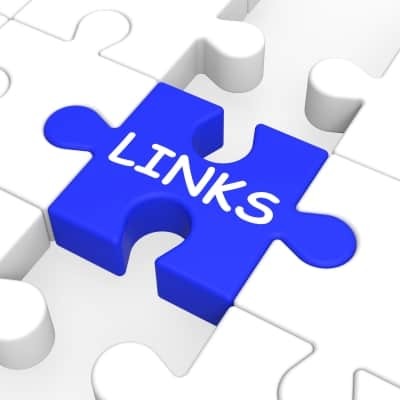 Can you share a good list of do follow backlinks websites like bookmarking, directory, press release etc. Thanks for sharing lots of seo off page activity, I hope you continuously share such a helpful information on off page activity. I’m wait your new post related this with new update off google.